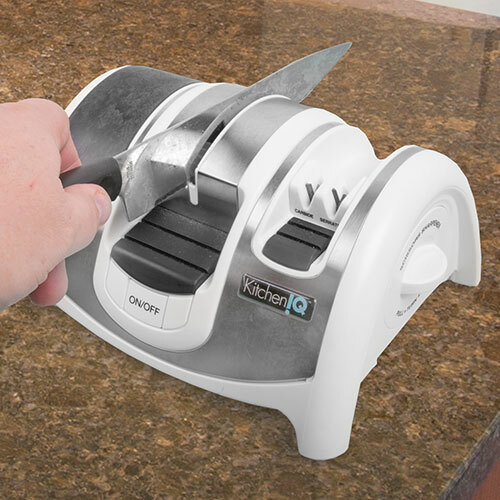 A dramatic leap forward in sharpener technology! 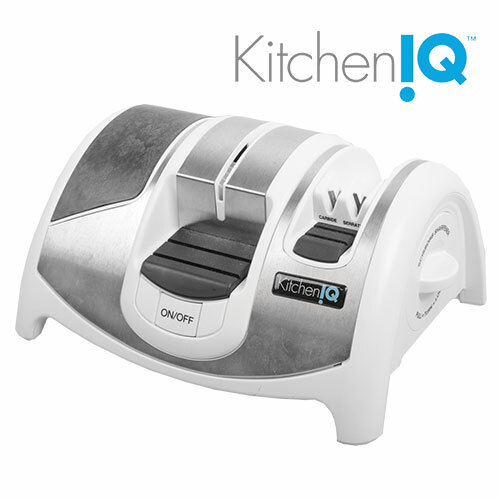 This advanced electric knife sharpener is the world's first to be equipped with extra fine interlocking alumina ceramic wheels. Unlike diamond or synthetic abrasive wheels, these create a smoother, superior edge while removing minimal metal from the blade. This extends the life of your knives and makes it perfect for quick touch-ups on an already sharp knife. Also features manual carbide and serrated slots, rubber hand grip for comfort and control, non-slip rubber feet, ceramic wheel cleaning brush, clean out slip under machine and retractable scissors sharpener.